Sheperspective: Which Bed Bug Treatment is Better? Heat treatments provide advantages against heavy, widespread infestations in cluttered environments. Manual pesticide treatments can eliminate contained infestations quickly and economically. It continues to be the subject of many bed bug discussions: Which is a better management method, heat or pesticides? When the great bed bug resurgence began, we treated them using pesticides the best way we knew how. Eliminating them was strangely difficult compared to other pests, but it was all we knew how to do. After trying one product after another, with mixed results, we saw some astounding research revealing bed bugs’ high levels of resistance to a class considered to be among our best products, pyrethroids. The hunt for the perfect solution was on, and heat treatments soon captured the industry’s attention. Despite the high startup costs, companies that invested in heat treatment equipment found an effective solution for what had become the most difficult pest of the new millennium. Despite initial success, however, heat has several significant drawbacks. In addition to the high cost and potential damage, it requires an entire day to perform and takes much preparation. 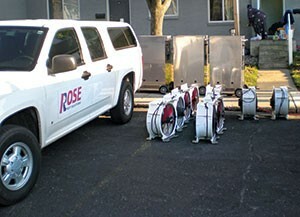 Companies that chose not to front the costs for heat equipment worked to refine their application techniques and get the best results possible with the fewest number of treatments. 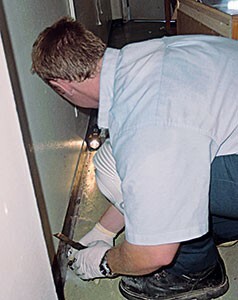 Other companies simply discontinued bed bug work and concentrated on what they did best. After 15 years of bed bug treatment, a new picture has emerged. Manual treatments with pesticides can eliminate bed bugs more economically than heat in many cases. But for heavier infestations and cluttered situations, heat can eliminate large numbers of bugs in one operation. ⦁ The infestation is light to moderate. ⦁ Bugs are only found on beds or furniture in a few spots. ⦁ The environment is relatively uncluttered. It also helps if bugs aren’t being reintroduced. This is the best possible scenario, but it does occur regularly. For locations with more bugs, you can regain your advantage by physically removing all the bugs you can find with a vacuum before you start the application. In those homes with more clutter, you will need to place more emphasis on preparation. Portable heat chambers can be used to heat certain items while pesticides handle the rest. At some point, the clutter or the number of bugs (or both) will tip the scales to favor the bed bugs, and a full heat treatment will be the better choice. While the cost is relatively high, heat can offer once-and-done service — and, for some companies, the preparation is much easier. 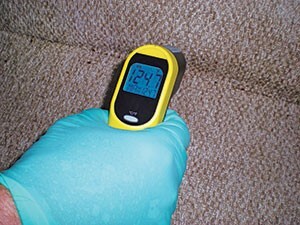 Heat has the advantage of penetrating fabric and furniture to kill bugs you could never find during a manual treatment. The ideal situation for heat occurs when the bugs are in furniture or goods that can be moved or raised off the floor. Large, complicated or heavy furniture need only be elevated high enough to accommodate a fan to quickly attain lethal temperatures for all stages of bed bugs. ⦁ The infestation is heavy and widespread. ⦁ There is a lot of clutter or heavy furniture. Time, temperature and airflow make a powerful combination. The job becomes more difficult for heat when bugs are in areas that are difficult to heat up quickly. Heat treatments in the dead of a northern winter are problematic, and exterior walls might never rise to temperature because of the cold outside temperature. A concrete slab on grade is especially difficult. Apartment buildings with poured walls and floors can’t really be heated (don’t ask me how I know). A concrete basement is a nightmare and should be treated manually, or you could see it rain indoors. The most important factor is the size and the scope of the infestation. When the infestation’s still young and hasn’t spread beyond the bed where it began, heat doesn’t make much sense. Even when bugs can be found on every bed and couch, the infestation can still be manageable, but will probably take more time. When they’re wandering the halls or loitering in the kitchen, though, it’s time to let heat do the heavy lifting. Even though it can work wonders in some places, heat is no silver bullet. There’s no clear solution for bed bugs in the home of a compulsive hoarder, for example. Many companies approach the worst infestations using heat and manually applied pesticides. For the occasional infestation of epic proportions, the best course of action is a managed approach. If it’s within your capabilities, consider fumigation. There’s no method more certain for eliminating every bug. Keep in mind though that like heat, fumigation leaves no lasting protection. There have been a number of large-scale fumigations where the operation went well enough, but the prevention of reintroductions fell short. The result was a short-lived success with a large price tag. Whether you offer heat, manually applied pesticides or both, make an informed decision by choosing the treatment most likely to succeed in a given situation. Balance the equation for time and cost to make bed bug control a sustainable program for your clients.